Knowing how to calculate how much VAT you can claim back from mileage can often be a bit of a headache. Now with Xero, it couldn’t be easier. When an employee (or business owner) uses their own personal car for business use then they are able to claim mileage at an agreed rate of 45p per mile. The 45p per mile is agreed by HMRC to cover fuel, insurance, road tax and wear & tear of the vehicle. HMRC publishes advisory fuel rates for those using a company car. These can be used as a guide for the fuel element of a mileage claim for your own car, which is the part you can claim back VAT on. To ensure you are using the correct rate, please check on the HMRC website. You can only claim the VAT back on the fuel portion of the 45p per mile. So, for a diesel car with a 1600cc engine, the fuel portion would be 9p per mile.  When entering an expense claim for mileage, enter the correct advisory rate for the type of vehicle (found on HMRC website) on one line as the VAT portion, then add a new line with the remainder of the 45p allowance as the Non VAT portion. 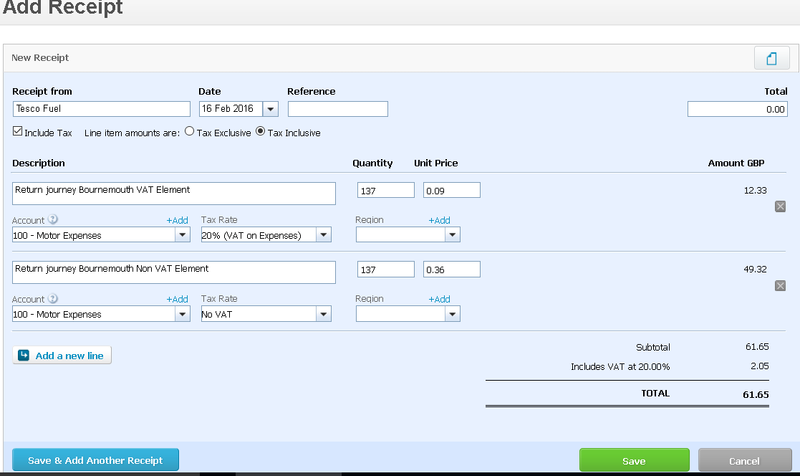 Xero will then calculate how much VAT you can claim back as a business.